NEW YORK The price of oil rose for a fourth straight day Tuesday and topped $93 for the first time this month. At midday in New York, benchmark oil for April delivery was up 74 cents to $92.80 per barrel after earlier rising to $93.47. Oil has now risen nearly 3 percent in the last four trading sessions. Whether it maintains that momentum could depend on this week's reports on U.S. oil supplies. 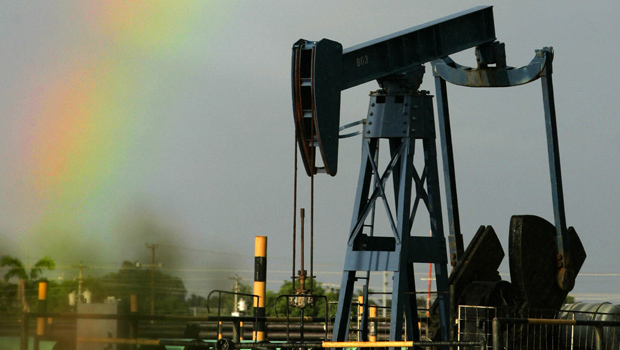 Many traders believe the large supply of oil in the U.S. has kept a lid on prices. Last week the Energy Department said that the nation's supply of crude is 10.3 percent above year-ago levels. And U.S. oil production, at more than 7 million barrels a day, is at the highest level since the late 1990s. Data for the week ending March 8 is expected to show a build of 2.3 million barrels in crude oil stocks and a draw of 1.5 million barrels in gasoline stocks, according to a survey of analysts by Platts, the energy information arm of McGraw-Hill (MHP). The American Petroleum Institute will release its report on oil stocks later Tuesday, while the report from the Energy Department's Energy Information Administration - the market benchmark - will be out on Wednesday. U.S. gas pump prices have leveled off at $3.70 a gallon, according to AAA, Oil Price Information Service and Wright Express. That's down 8 cents since the start of March and 10 cents cheaper than a year ago. Brent crude, used to price many kinds of oil imported by U.S. refineries, was down 9 cents to $109.60 a barrel on the ICE Futures exchange in London. Wholesale gasoline was unchanged at $3.15 a gallon. Heating oil fell 1 cent to $2.95 a gallon. Natural gas rose 1 cent to $3.66 per 1,000 cubic feet.